Get away from the crowds, unplug, and join us on a high adventure trip this Memorial Day Weekend. With the huge snowpack we have 4 options ranging from three and a half days to one day and from big whitewater rafting to high adventure inflatable kayaking. All have amazing whitewater and scenery, are off the beaten path, and offer a chance to unwind and unplug away from crowds and traffic. 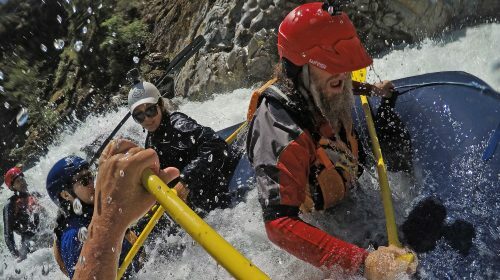 California’s premier spring run, this is one of the most spectacular class V adventures in the country. Combine a beautiful granite gorge, emerald-green water, comfortable pop-up glamping, and unequaled class IV-V pool-drop whitewater. This is truly a world-class, high-adventure whitewater run. Clear Creek is like no other stretch of river in the country and this is one of the most unique trips we offer. The trip offers a chance to run a stretch of river that is rarely seen (or even heard of!). The Scott river is a lesser known sister river to the California Salmon and shares many of its attributes. 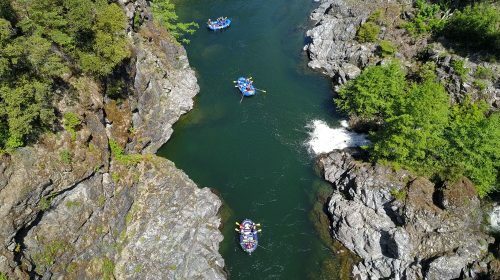 It is an incredible and seldom run river with world-class whitewater. However, the Scott’s whitewater is more technical and continues in nature with long complex boulder gardens laced with steep drops….